Rich Christianson has worked both sides of the live events aisle — as an attendee and as an organizer. Rich has attended dozens upon dozens of trade shows and has not missed a single edition of the International Woodworking Fair in Atlanta or AWFS Fair since 1985. He has also been a frequent visitor to LIGNA in Hannover, Germany, interzum in Cologne, Germany, and Xylexpo in Milan, Italy. His trade show travels have also taken him to woodworking shows in Nagoya, Japan; Taipei, Taiwan; Valencia, Spain; and Guadalajara, Mexico. Closer to home, Rich has been a frequent member of the press core at the Kitchen Bath Industry Show, Global Shop, Neocon and regional shows spanning the southeast to the northwest United States. During his nearly 30 years at Vance Publishing Corporation, former publisher of Woodworking Network, Wood & Wood Products, CWB and CLOSETS magazines, Rich was instrumental in helping organize, direct and promote a wide variety of trade shows, conferences and seminars. Included were the Cabinets & Closets Conference & Expo, Canada’s Woodworking Machinery & Supply Expo and the Custom Woodworking Business Show. In addition, Rich worked with Purdue University, Advanced Centre for Wood Processing at the University of British Columbia, Composite Panel Association, Hardwood Plywood & Veneer Association and other organizations on conferences ranging from wood finishing and veneering to working with decorative laminates and environmental stewardship. His event experience has spanned negotiating contracts with convention centers, hotels, registration contractors and keynote speakers through securing expert presenters and developing print and digital promotional campaigns. He also has frequently served as a moderator at the events. Working with the Illinois Wood Utilization Team on the “Bringing the Urban Forest Full Circle Conference” held March 18, 2016, at Hamburger University in Oak Brook, IL. 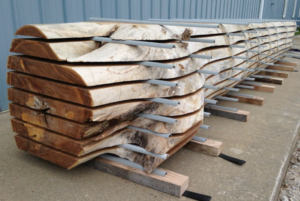 The event was preceded a day earlier by a Hardwood Lumber Workshop. More than 100 arborists, foresters, sawyers, architects, woodworkers and other professionals attended the programs focused on growing the niche for urban wood lumber and wood products. Read the press release. 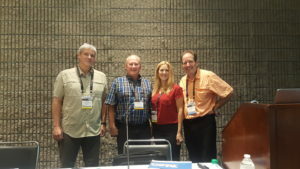 Nine months later, Rich organized the first urban wood seminar ever held at the International Woodworking Fair in Atlanta. More than 70 woodworkers and other IWF attendees participated in the 90-minute session. Read the press release. The urban wood movement returned for an encore performance at IWF 2018, once again organized by Rich. Sponsors of the session, “The Urban Wood Revolution Is Now! Come Join the Movement” included Wood-Mizer, Richelieu Hardware, Dynabrade and Safety Speed Manufacturing. Read the press release.